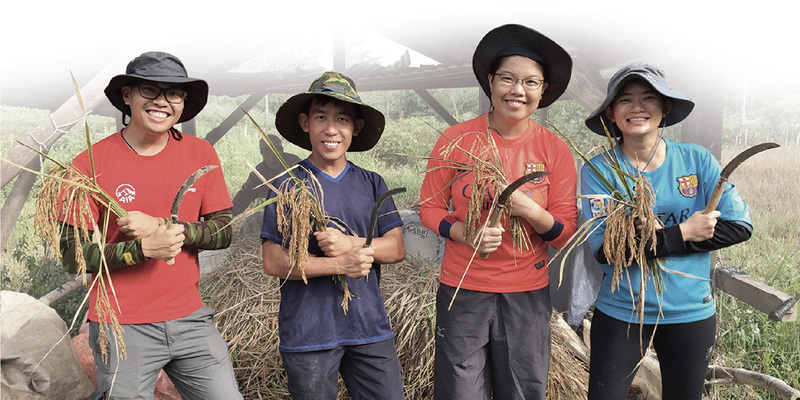 Langit's story started with the four founders who worked as rural community organisers. They travelled extensively in rural areas building gravity-fed-water systems for rural communities. While they were executing a project in the Lawas Highlands, their stay with the local host family grew into a familial bond. They were each given a Lun Bawang name, Aco (Sun), Udan (Rain), Bulan (Moon) and Gituen (Star) as an initiation into the local community. As they lived among the rural communities, they felt their plight. There is so much potential in the people and the place. Yet, so little has been tapped for the betterment of the community. Hence, Langit Collective was founded to create a sustainable economic ecosystem in the rural areas. Langit (The Sky) being the common element that gave rise to the founders' Lun Bawang names.